From a long established group of carefully selected British farmers and suppliers, who share our values and commitment to: Delivering the highest animal welfare standards ensuring all our pigs are bred outdoors and then housed in straw filled airy barns. 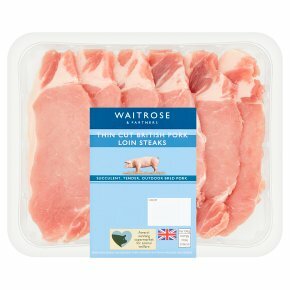 Producing high quality, succulent pork that is tender and full of flavour, from pigs fed on a natural cereal based diet. Working together to protect our environment and promote sustainable farming.